2. 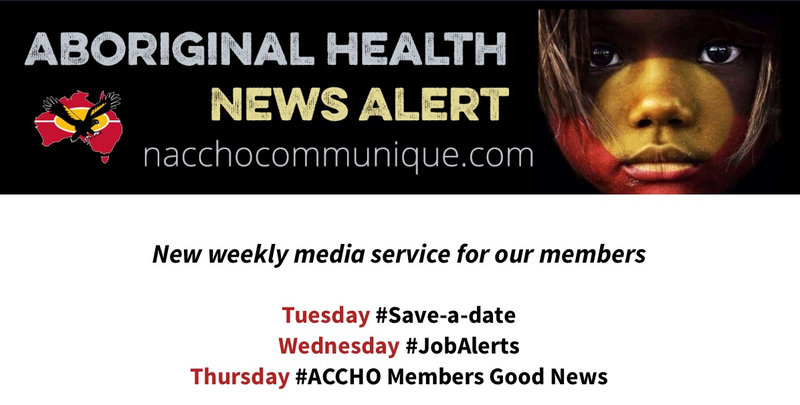 QLD :Gold Coast Aboriginal and Torres Strait Islander Health Service has launched its annual calendar to encourage people to eat more fruit and vegetables. 6. QLD : Apunipima Cape York Health Council has been recommended for ISO 9001:2008 recertification for three years to 2020. A new Family Wellbeing Service now underway in the Cairns region will strengthen support for vulnerable Aboriginal and Torres Strait Islander families and communities. Minister for Child Safety Fentiman visited the WuChopperen Health Service in Manoora today (11 July) while in Cairns for Governing for the Regions week. 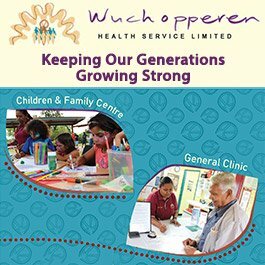 “WuChopperen Health Services has already been supporting Aboriginal and Torres Strait Islanders in the region through a range of health services and the addition of the Family Wellbeing Service further strengthens their support,” she said. The Queensland Government will provide more than $2.6million this financial year to the health service to undertake the Family Wellbeing Service. The new service will help local Indigenous families in the Cairns region stay safe and together and is part of an overall funding package across the state for new community-run services to better support Aboriginal and Torres Strait Islander families and communities. “It’s about providing culturally-responsive, community-led support to help Aboriginal and Torres Strait Islander families safely care for their children at home,” she said. Family Wellbeing Services are rolling out in 20 locations across Queensland, as part of up to $150 million investment over five years, to ensure Aboriginal and Torres Strait Islander families have access to the best possible family support. Ms Fentiman said the services would give Aboriginal and Torres Strait Islander families access to targeted support to improve their social, emotional, and physical wellbeing and safety. “By 2018, we are aiming to have these services offer more than 6000 families a coordinated approach to support them, address multiple needs and build family and community capacity,” she said. Ms Fentiman also announced $124,000 in funding over the next two years for WuChopperen to provide an Early Childhood Development Coordinator (ECDC) within the Aboriginal and Torres Strait Islander Family Wellbeing Service to increase early childhood educational access for children in contact with the child protection system. “These investments will delivering better outcomes for Aboriginal and Torres Strait Islander children and families and help to address their overrepresentation in the child protection system,” she said. The Queensland Government has worked in partnership with key stakeholders, including the Queensland Aboriginal and Torres Strait Islander Child Protection Peak (QATSICPP), to capture the voices of community, children, families and Indigenous service providers in the establishment of the Family Wellbeing Services. Bush tucker is being used to encourage people to eat more fruit and vegetables. 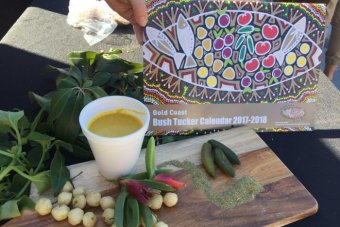 The Gold Coast Aboriginal and Torres Strait Islander Health Service has launched its annual calendar featuring local bush tucker foods. The 12-month calendar has recipes featuring native foods such as kangaroo, lemon myrtle, finger lime, lemon aspen, warrigal greens, wattle seed, lilli pilli, pig face and pippis. Dietician Maxine Daley said the unit had worked alongside Indigenous elders to create the recipes. “The calendar is based on fruit and vegetables, so we are using the cultural appeal of bush tucker foods to promote fruit and vegies to our clients,” she said. “Everything in this calendar is from the Gold Coast. It suits our environment, it suits our climate. “You can grow it in a pot or a backyard or polystyrene box on your balcony. “The idea was born out of a focus group in which people expressed an interest in knowing more about bush tucker foods. “There’s been such an impact on Aboriginal culture in general. Food culture has also changed,” Ms Daley said. “’Koori Health in Koori Hands’, is Katungul’s moto and we take the approach of ensuring that not only our clients physical health is being address but also their spiritual and social wellbeing, as without recognising that these go hand in hand we cannot offer true holistic care. 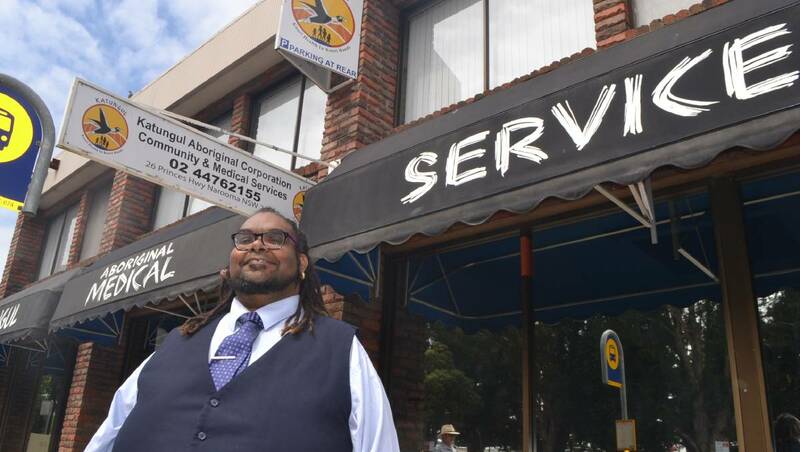 Katungul Aboriginal Corporation and Medical Service CEO, Robert Skeen (pictured above ) said the injection of funds would go a long way to strengthen their frontline services to help the most vulnerable in their communities. 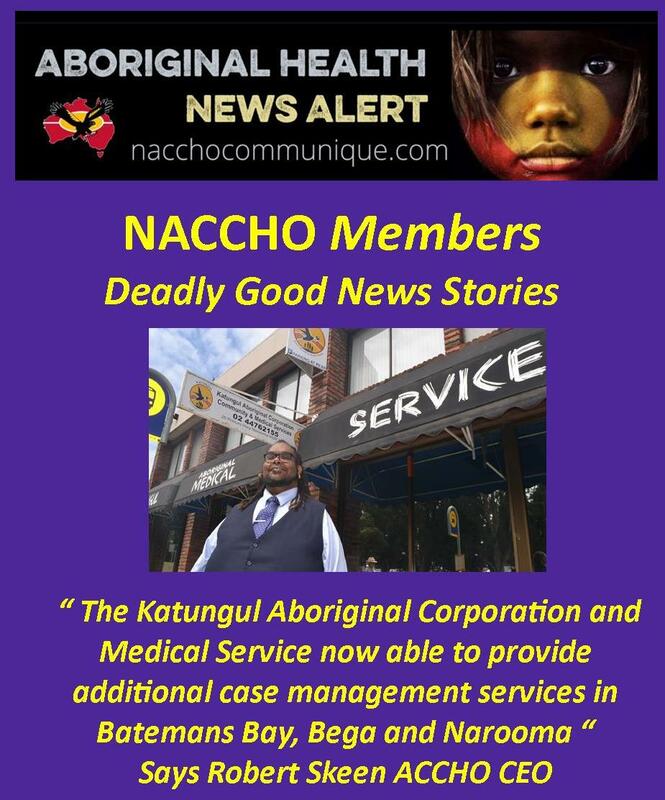 The Katungul Aboriginal Corporation and Medical Service will be able to provide additional case management services in Batemans Bay, Bega and Narooma, with a focus on social and health support needs, thanks to a $749,092 grant from the Coalition Government. 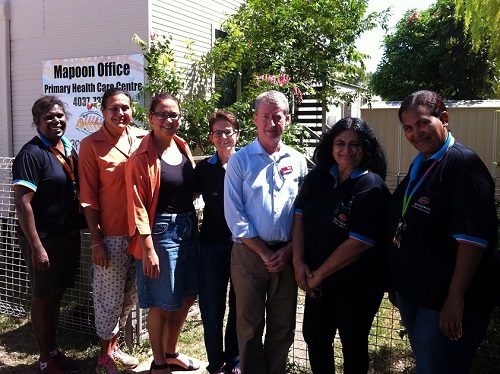 Minister for Indigenous Affairs, Nigel Scullion, said that Katungul Aboriginal Corporation and Medical Service would receive funding to provide case management services through until 30 June 2019. “The Katungul Aboriginal Corporation and Medical Service program will deliver an early detection and intervention health and wellbeing initiative to around 200 preschool and primary school aged children,” Minister Scullion said. “This project is a great example of the Coalition working with Indigenous Australians to improve outcomes for First Australians living in Batemans Bay, Bega and Narooma,” Minister Scullion said. “Supporting the needs of Indigenous Australians in our region by further resourcing Katungal Aboriginal Corporation and Medical Service for another two years, provides certainty and continuity,” Mrs Sudmalis said. The Katungul Aboriginal Corporation and Medical Service project is one of 43 recently funded under the IAS. Services have been funded to provide intensive support to Indigenous people most affected in the following areas: alcohol and drugs, domestic violence, mental health and wellbeing, and youth offending. Existing service providers will share $18,697,510 million in Government funding through until 30 June 2019 to transition from the Indigenous Community Links programme to new place-based, intensive support services that address specific safety and wellbeing needs. A further $4,239,664 million will be provided until 30 June 2019 for new services in areas where a safety and wellbeing service gap has been identified. The McGowan Labor Government is committed to improving the health and wellbeing of Aboriginal people in Western Australia, including helping to prevent self-harm and suicide. The Aboriginal Family Wellbeing project, a two-year pilot project, aims to address the risk factors to social and emotional wellbeing in Aboriginal people across WA. The project includes an accredited six-month Certificate II training program, developed by Aboriginal people, for Aboriginal people, and will be delivered in collaboration with the Mental Health Commission, Aboriginal Health Council of Western Australia and 22 Aboriginal Medical Services across WA. Health and Mental Health Minister Roger Cook also launched the Implementation Guide for the WA Aboriginal Health and Wellbeing Framework 2015-2030 as part of NAIDOC Week celebrations. NAIDOC Week celebrations are held across Australia each July to celebrate the history, culture, and achievements of Aboriginal and Torres Strait Islander people. “The McGowan Government acknowledges poor social and emotional wellbeing is a significant contributor to the unacceptably high rate of illness and suicide among Aboriginal people in WA. 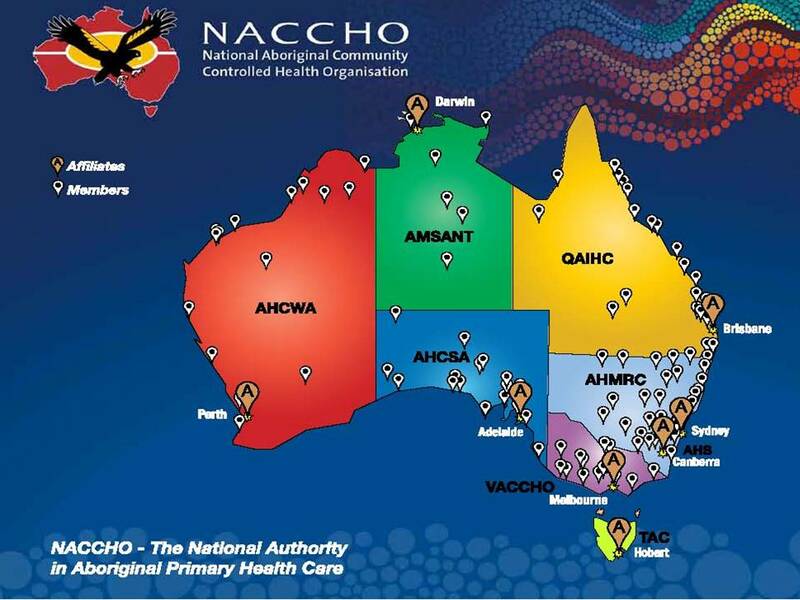 “The delivery of the Aboriginal Family Wellbeing project with the Aboriginal Health Council of Western Australia will ensure all Aboriginal Medical Services in WA will have at least one representative capable of delivering and administering the program to Aboriginal communities. “Furthermore, the Implementation Guide for the WA Aboriginal Health and Wellbeing Framework 2015-2030 is a how-to manual to take meaningful, and measurable actions, towards improvements. 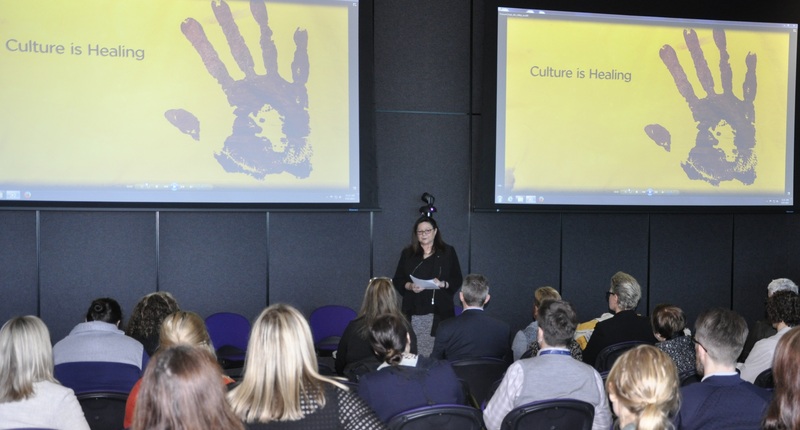 Jill Gallagher AO, Chief Executive Officer of the Victorian Aboriginal Community Controlled Health Organisation (VACCHO), spoke and called on health services to be bold, lead change from within and also support employment and training opportunities for Aboriginal people. “I’d like to highlight an important aspect of the work that will ‘close the gap’, but isn’t as obvious to everyone – This is employment and training,” Ms Gallagher said. Ms Gallagher said employing more Aboriginal people would improve the health sector’s “cultural competency” and “when we have a culturally safe place for Aboriginal people, we will improve access to services and improve health for individuals”. The event included a Q&A session – led by Dr Steve Ellen, Peter Mac’s Director of Psychosocial Oncology – and a panel including Elder and Yorta Yorta woman Aunty Pam Pedersen, Aboriginal Health Liaison Officer Moira Rayner and Peter Mac’s Director of Wellbeing Geri McDonald. The panel discussed practical measures to reflect Aboriginal and Torres Strait Islander culture in a healthcare setting, including the possum skin cloak recently unveiled at Peter Mac. This was made recently by Aboriginal breast cancer survivors and is now available for use by other Aboriginal cancer patients at Peter Mac. Ms Gallagher described initiatives like this, which brought Aboriginal culture into the healthcare environment, was “medicine for the spirit” for Aboriginal people. The event provided an opportunity for the precinct partners to renew their joint commitment to providing a culturally safe environment for Aboriginal and Torres Strait Island patients, families and carers. “NAIDOC week is a time to celebrate Aboriginal and Torres Strait Islander history, culture and achievements and is an opportunity to recognise the contributions that Indigenous Australians make to our country and our society,” Peter Mac Chief Executive Dale Fisher said on opening the event. The Parkville Precinct is committed to healing and closing the gap in life expectancy between Indigenous and non-indigenous people, and providing health services and information in culturally safe, accessible and welcoming environments. ISO certification means Apunipima’s quality management systems (which underpin best practice business performance) meet the international standard. The ISO audit took place from 8 – 12 May 2017. Auditors Scott Walker and Peter Jensen visited Apunipima’s Cairns, Napranum, Mapoon, Aurukun offices and facilities and looked at management systems including roles and responsibilities, risk management processes, document control, internal audit outcomes, continuous improvement processes, resource management, policy and procedures, service planning and records management. Acting Quality and Risk Manager Elizabeth Whitehead said recertification meant Apunipima was working to an internationally accepted standard.